a group of people linked together to accomplish a common purpose. leadership – student representative council (SRC), peer support mentors, etc. environmental – recycling, low carbon footprint, gardening, etc. social – yearbook, newsletter, dance organisation, web site, etc. educational – debating, literacy mentors, public speaking, projects, etc. health – drug awareness, first aid, fitness, etc. artistic – choir, band, dance, photography, video, lighting, sound, costumes, set designs, etc. Some of these teams are very loosely formed. In those teams the team members are brought together based on their skills in one area required for the team’s purpose e.g. lighting team. Members of teams such as this receive support and coaching to sharpen their skills so that they can successfully achieve their goals e.g. provide spectacular lighting effects for the dramatic presentation. They may also receive some skill development in teaming. Other teams are more high functioning and may be required to make decisions for others; e.g. SRC. These teams are generally trained primarily in their role as team members. The training will include the skills of teaming plus the unique skills to achieve their goals. Facilitation for this training is generally perceived as an adult role. 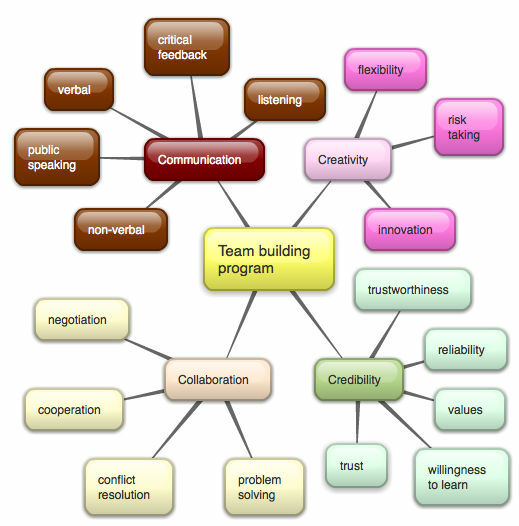 There is a wide range of team types and requirements for teaming skills. One impressive component of the team building process can be games. They can break up the formal training adding energy and excitement. 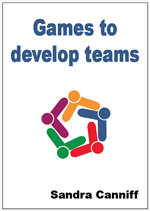 For more information on this go to the Games to develop teams web site.